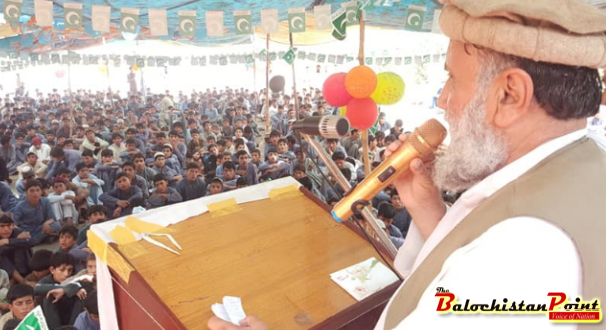 ZHOB: Like elsewhere in the country, the 72nd Independence Day of Pakistan was celebrated with commemorative ceremonies across the bordering district. The Day was celebrated in both Zhob and Sherani districts with national fervour and exuberance. A flag hoisting event held at Levies headquarters and DPO office Zhob. Deputy Commissioner Shabir Mengal hoisted the national flag at Levies line. He was accompanied by Assistant Commissioner, Tehsildar and Levies officers. Speaking as the chief guest he said that Pakistan came into being owing to the struggle and sacrifices rendered by our leaders and forefathers. Hence, it becomes the first and foremost duty of all its citizens to work hard for its progress. He paid rich tributes to national heroes and all those who rendered sacrifices for the independence of the country. DC called on the people to renew their determination to serve the country and work hard for its prosperity. “Pakistan had come into being due to unparalleled leadership of Muhammad Ali Jinnah and sacrifices of Muslims. It is now the responsibility of each and every Pakistani to work for the unity, integrity and solidarity of the country.” He added. District Police Officer Abid Nawab during a flag hoisting ceremony held at DPO office to commemorate the Independence Day paid rich tributes to those police personal who lost their lives in the line of duty. Chairman Abdul Saleem Mandokhail addressing a ceremony to mark the day at Model high school highlighted the significance of the independence movement and the huge sacrifices rendered by our heroes to realize the dream. The Independence Day also celebrated with great pomp and show in the neighboring Sherani district. Students sang patriotic songs, recited poems and gave speeches – remembering heroes of freedom struggle. On the prestigious occasion in connection with the Independence Chairman Sultan Sherani, Education Officer Gul Shah Khan Mandokhail and school principle Asif Rajpoot distributed prizes, shields, souvenirs and certificates among officials and teachers for their meritorious efforts and students who excelled in various activities.